Abuse -When do you speak up? Do you ever get haunted by a situation where you wish you had said something? Mine was 18 months ago. As I drove away from a lesson, I pulled over to check my messages, facing a riding arena where a roping event was going on. It was a perfect summer night and riders were warming up. There was some light bantering passed around, followed by good-natured laughing. The sort of group I just love. Suddenly one of the riders went nuts. He exploded into a spurring, rein-jerking mess. His horse pinned his ears flat as the rider pulled him backwards, ramming the shank bit hard, metal on bone, against his jaw, almost the entire length of the arena. Then he jerked the horse’s front end around and backed him to where they started and then did the whole thing again… and again. The rider’s spurs said forward and his vicious hands said backward. The horse had a cable tie-down on and was totally trapped, he had no direction to go. The horse couldn’t get any relief from the bit, he couldn’t rear, he couldn’t even breathe. Whatever the rider thought he was correcting was lost in the pain. I was in a speechless in my truck. I used to feel this kind of helpless as a kid when things got violent, hoping someone would stop it. What if I walked over to the arena and asked him to stop? I was old enough to be his mother but I didn’t think he would have any more respect for me than his horse. He might even double down on the poor horse. We’ve all witnessed something like this. Then I noticed riders in the arena had gone silent. No more laughing or bantering, no sound except for the rage of this rider, now halted. Even at this distance, I could see the horse’s arched back quivering, his nose behind the vertical–between his knees, and his flanks tight and heaving. The other horses were all walking now, tensely, as far from the fight as they could get. The riders each looking down and steering clear. Surely someone riding would speak to him. Or at the very least, let their feelings be known by dismounting and leaving the arena–refusing to ride with this jerk. Nothing but a shared awkward embarrassment. Silence equals consent. I’ve thought so much about this event. What could I have done? Bad horsemanship isn’t illegal. Neither is losing your temper. There was no blood. It’s a free country. And what about those neighbors down the road whose thin animals are out in the winter weather with nothing to eat? Are water tanks empty? Are puppy mills okay with you? Are they doing that to appease us bleeding hearts who like horses? No. Research has shown repeatedly that animal abuse and domestic abuse frequently go hand in hand. If you beat an animal, you are much more likely show violence to people as well. The FBI feels animal abuse should be seen on level with crimes like murder and assault. Uniform crime reports will be filed to aid in research and also have an inter-state paper trail. Laws are changing. Domestic violence was part of my concern about that rider. Should we pay more attention, maybe speak up and help him? Or should we wait to act shocked later when he shows up on the news? Is there a positive way to be a good neighbor here? Which brings me to my next can of worms–being an animal advocate. We advocates have a pretty unflattering public image and that adds to the problem. Some of us are so emotional that we come across as whiny and unstable. “I just don’t understand how a person could treat a kitten this way,” followed by sobs and phlegm might be your honest response, but it doesn’t necessarily help if your emotions run to histrionics and betray your message. It becomes more about you than the kitten. Other animal advocates are filled with rage, threatening to burn down barns or use their guns. If they catch the perpetrator, they vow they will torture him as he tortured animals. Death threats are thrown around like confetti. Really? Isn’t that a bit like the pot calling the kettle black, even if it is honest? In either extreme, the passion is real and I applaud that. I also believe that the messenger can poison the message, both with the authorities and the general public. No one is inspired by the lunatic fringe. There, I said it. In my opinion, an animal advocate has to be able to control emotions within themselves that abusers have obviously not controlled. Good riders know that there is no place for emotions in the saddle–and good advocates should hold the same standard. In simple terms, we have to be better than abusers if we want our message to be heard. We have to have faith in our species to perceive the abuse without us pouring gasoline on it. There are all kinds of reasons to look away from abuse and not get involved. Hundreds of reasons to bite your tongue and not report. And only one reason to stand up in the silent crowd and speak up for those without a voice. It is simply the right thing to do. Please report abuse. Call the sheriff’s department. If you want to be anonymous, Crime Stoppers. Or notify a local rescue organization and ask them to investigate. Call the equine facility or show management and let them know that it isn’t okay with you to see that level of aggression towards a horse, even if it is legal! Don’t kid yourself, there is an element of danger involved in reporting. Be safe, but also don’t let the craziness make you crazy. Don’t let your voice be silenced because of other people’s emotions, or your own. Remember that silence equals consent. And it is consent to a world of things beyond starving a dog or jerking a horse around. A proud founding member, along with other strong voices, of Horse Advocates of Colorado. We are committed to bringing civil discourse and steady pressure to horse welfare issues. On the web here and on Facebook here. Join us. Hopefully the work of Horse Advocates of Colorado can help educate the enforcement people that are necessary for such abuses to be brought to justice. Anna, thank you for covering this important topic. As a young teen at horse shows, I was taught how to report abusive behavior. We would make a report, then the same rider/trainer would be welcomed back to the event. There was never any direct results. It grew frustrating that everyone just accepted this to be they way that particular person acts. Now we can take it a step further and report to the police, but in a small town these things are over looked. HOWEVER – it’s better to lend a voice, even if you have to do it over and over and over again before seeing results. Another question – what constitutes as abuse? Practices that are considered ‘normal’ by the equestrian community have always looked abusive to me. Have you ever seen a young Morgan get ‘hyped’ before an in-hand class? Or a jumper get whipped for a refusal? There are so many examples of this – I’ve seen riders punish their horses by thumping down hard on their backs. I don’t even want to think of the cruel tactics used to get horses on trailers. The world is getting better, slowly, but these acts of harm still exist. Can they be reported? Or should we continue to fight ignorance with education? Each discipline has a rule book and what constitutes abuse is usually listed there. Enforcement is the question and no one likes to make a fuss. We shoot the messenger too often, it is easier then confronting the offender. Maybe file a group complaint with several signatures?? Most of all, I want to thank you, a young rider. Stick it out, you are the future of horses in competition. Stay strong. It can feel overwhelming. A while back my week ran the gamut from cringing at well-meaning but ignorant horsemanship – to calling the police after receiving a (written) direct threat someone was going to shoot a horse at which they were mad. The police were able to track the phone, and the person was intercepted. With ammunition purchased 15 minutes prior. Have to say, this scared the heck out of me in all directions. The horse was not removed, the angry person knew who called the police. Please people, listen to Anna: be brave, but take the danger very very seriously. I think that is the point the FBI is finally getting to… this is serious. These abusers are dangerous. Sounds like a pretty intense situation. And they happen all the time. You take care, too, Jane. We need you in the barn. Yes, in answer to the question that you posed at the beginning of your piece. What you described happened pretty much the same way in a group trail ride years ago with one of my neighbors. I was a green rider, new to the area and didn’t know her at all. She was angry over a small transgression; there was a severe shank bit and a tie-down, lots of yanking backwards aided by spurs, and a horse that could do nothing but take it. Everyone sat there, embarrassed and silent as she “taught her horse a lesson”. My response was to never ride with her again. She’s still around and she still has horses and I still won’t have anything to do with her. I’m ashamed that I didn’t have the courage to speak up then. I’m a little older and a little bolder now and I think I will do better the next time; thank you for reminding me that silence equals consent. Thanks for sharing this. I think one of the benefits of being of a certain age, is that we get clear about our priorities. Reblogged this on Horse Advocates of Colorado. Brilliant!! And as we all have cameras in our phones, video the abuse where possible. Visual proof for the Animal Control or Sheriff’s Dept. folks better gets their attention. Good point, Barb. It is easier than ever to get ‘proof’. I have a theory about the “lunatic fringe”. On the horizontal scale of animals rights / advocacy organizations – groups like PETA , or extra weepy cat hoarding folks, stretch the bar. It was once considered “extreme” to take into account the rights of animals at all. Or women and children for that matter. The far left contingent makes space for the middle to expand, both in numbers and in “respectability”. While we may not agree with their ideals, tactics or image – I believe their existence has a positive effect on the issue in general. jmho. What an interesting perspective…I hope you’re right. thanks for sharing. I’m going to link to this on my horse blog; such good advice. We HAVE to act better than those we are taking a stand against! I am thankful that my preferred discipline – dressage – is more vigilant than most against what constitutes abuse, but whenever people are involved with animals, animals sometimes suffer. And of course humans suffer at the hands of other humans. I would say it is part of the curse of humanity, but that would be unfair. I have sheep and chickens, and I have seen cruelty inflicted by both species on their own (we won’t even talk about what the barn cat does). I agree about dressage, and I have seen enforcement often enough to believe them. Truly do seem to be good rules in place most of the time, but iffy enforcement. Love a good TD. I agree that cruelty can seem prevalent, but when we know more we can do better… Great comment, thanks. I agree, lots of battered women’s organizations work in conjunction with dog services to get the dogs out along with the women… they are loyal friends too. Thanks for commenting. Keep up the good work. Anna, thank you for your article and for addressing this subject. We need a lot more public discussion of this subject and am happy to hear that we now have better ways of advocacy. I have been in similar situations before and hopefully with better tools at my disposal I can become a better advocate. With regard to your sentence “Good riders know there is no room for emotions in the saddle”… I witnessed a trainer and rider beating a horse for about 45 minutes because he didn’t go as forward as they wanted. The comment from the trainer afterwards was that the horse needed the beating, “but as long as there is no emotion involved, it’s ok.” That is how things get misconstrued. Personally, I think it would be even more frightening to get beat by a person who shows no emotion, than someone who is angry. Feelings dissipate eventually; cold heartedness probably not. Bottom line, though, as you said, there is no room for any of this. As a trainer and a writer, I am always aware of how closely I have to choose my words… you are right, a good rider is a different thing than a trainer… It half kills me that so few trainers respect horses. It is hard enough to ask for help for most of us, without the fear of getting this kind of abuse dressed up as training. Perceptive comment, thank you. Thank you! This was beautifully written and so clearly expressed the issues…but then, here I am sobbing, phlegmy and not at my most articulate, reading what happened to that sweet horse…😊After reading it, I’m a mess and personify how we animal afvocates can come acros😊Thank you so much for exploring this and helping us find ways to be more effective. Thanks for reading… it is a quandary. These are interesting times for animals–the best of times and the worst. Maybe when we know better, we do better. Too much ego is attached to equestrian sport. As if beating a horse into submission demonstrates supreme power or something like that. The truth is that until people get out of their heads and start living in their hearts nothing will change. 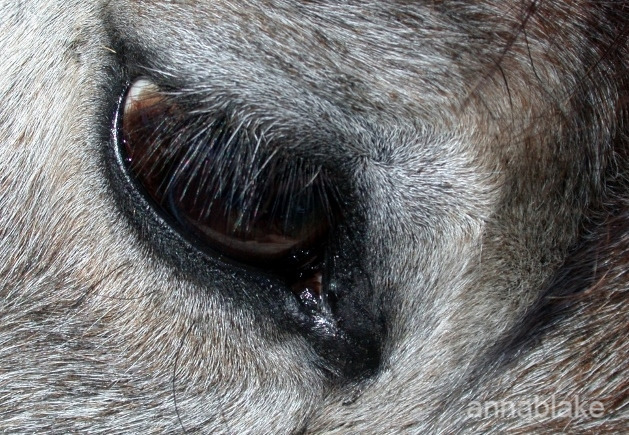 Being aware of the horse as a sentient being and of our own humanity is key. But so few are in an emotional position to go there. And to reason with the ego-centric is pointless until they are forced to wake up. … Ultimately a horse will teach that rider a lesson and it probably won’t be pretty. Great comment, and I agree with most of it. As a trainer, one of the saddest things I see are horses who submit and shut down… Some horses will teach riders a lesson and others grow a victim heart and their eyes become dead from being ‘over-cued’. People think these are good, well-trained horses. Sigh. Ironic that we get a lesson in humanity from horses…. thank you, wonderful thoughts. and What happened to this horse and it’s rider…??? In the small picture, it isn’t against the law to be an angry rider. In the big picture, I hope we all change a little bit.